SS Alban and Stephen Catholic Junior school was the first school to participate in Idling Action St Albans new partnership campaign being run by Friends of the Earth together with St Albans District Council. On the morning of our special Idling Action Assembly there were 240 Key Stage 2 children with 20 parents to listen in our messages about Air Pollution and anti-idling. Local environmental educator Ruby Raut led the session which took place a few days before National Clean Air Day on the 15th June and pupils were encouraged to use bikes or walk to school to celebrate the day. The assembly was an interactive session using play cards to embed the key messages about idling and air pollution. Ruby said “The children were very keen and asked lots of questions after the session. It was also great to have the parents interested as they are the people who will carry the message on to other parent drivers“. The campaign will return to the school at drop-off time to talk to parent drivers about why they should switch off for cleaner air. ‘It will be a change to teach our parents about air pollution coming from cars” commented one Year 5 student after the session. Idling Action St Albans will be taking its campaign to a number of local schools, both primary and secondary over the next few weeks. The campaign is also aimed at drivers in the community and will have stalls in St Albans market on Sat 8th July and Sat 5th August. 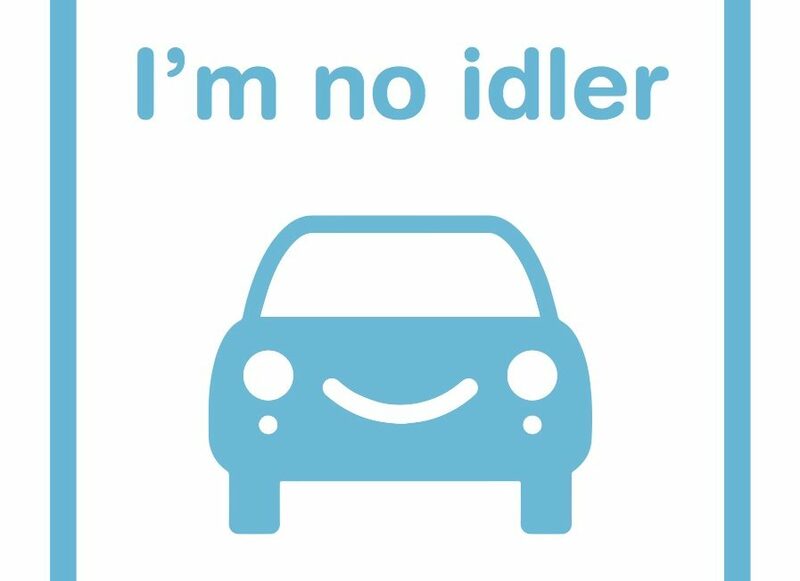 Anyone who would like to volunteer to be an Anti-Idling Champion is asked to contact the campaign by emailing contact@idlingactionstalbans.org or look on the website www.idlingactionstalbans.org. Today is National Clean Air Day. Take a pledge to show what you can do to reduce air pollution. There are many things that YOU can do to reduce air pollution. Did you know that air pollution in St Albans can exceed EU limits in some places such as PeanHen Junction? It is estimated that poor air quality leads to 40,000 premature deaths each year in the UK. People can be affected by poor air quality even if they never experience any noticeable pollution related-health effects such as breathing problems because some of the effects are chronic and long-term. Find out more about #IdlingActionStA on our website here. In a great new partnership, St Albans Friends of the Earth has teamed up with St Albans District Council for our new #IdlingActionStA campaign. We want to encourage drivers not to idle their engines while stationary for more than one minute. Let’s work together for cleaner air! Waiting in queues (plenty of them!) or held up at traffic lights – especially around the PeaHen junction in St Albans city centre – leaving your car engine running is a waste of petrol – and seriously pollutes the air around you. Our new campaign will be out to meet you at St Albans’ market, on the streets, and in local schools this summer. Our volunteers will be talking about the dangers of air pollution from car engines and helping you to switch off when idling. If you want to come and join us as a volunteer Anti-Idling Champion we’d love to see you. You will need to come along to one of our training sessions, then you’ll join in our stalls and work on the streets. Click here to see more about being a volunteer. National Clean Air Day is on 15 June. Walk, cycle, bus, tube, tram, boat, unicycle… However you like to travel, leave your car at home and take to the streets. As well as cutting down the amount of pollution you make, you can get some exercise, check out that new deli you’ve been meaning to pop into, or even meet a friend for a catch-up on the way home. Not going anywhere fast? By turning off your car engine whenever you’re not moving – and it’s safe to do so – you’ll help to make the air cleaner for you, other drivers and pedestrians. Sign up to the #noidling campaign for more info! Cars may not fly or run on trash yet but we have been back to the future and the future is definitely clean. More than 80,000 people bought low polluting cars in 2016. When you upgrade your car, explore an electric, hybrid or LPG model (to save on your road tax too – just until we don’t need roads). But if you have to use petrol or diesel, ask your car dealer for the least polluting model as they vary enormously. Many city workplaces report that half of all deliveries are personal parcels for staff. That’s a whole lot of extra vans clogging up the city – and people still have to carry their parcels home! Delivery companies now have clever ways to save you carrying parcels too far – like pick up points in corner shops or lockers in train stations. There are thousands of locations around the UK, with a handy map available here. We all love wood-burning stoves. They look great and they’re sooo lovely and cosy. But burning wood produces a lot of air pollutants. To minimise your contribution to air pollution buy a Defra-approved stove, use authorised fuel, and only light it when you really really have to. Brrrrr. There are some easy ways to use your car less, like car-sharing or working from home one day a week. And they quickly become part of your routine. Just swap face-to-face meetings for video conferencing, and sitting on your own in traffic for chatting to your colleagues about what Steve in accounts has been up to recently. Plus you can have a lie-in, pick up the kids from school, go for an early meal… and make the air cleaner for everyone. Remember to service your car and central heating boiler regularly to make sure they run as efficiently and cleanly as possible. Gas and electricity are big contributors to air pollution. Gas creates fumes when we burn it to heat our homes, and electricity produced by power stations burning fossil fuels has the same result. There are lots of things you can do to conserve energy (and lower your bills), such as switching off the lights, filling the kettle with just what you need and only running the washing machine and dishwasher when you have a full load. Having well-inflated tyres means your car will be more efficient and use less fuel. Great for the environment and great for your pocket too.